Jay Carmichael is a writer and editor. His first novel, Ironbark, was shortlisted for the Victorian Premier's Award for an Unpublished Manuscript in 2016. His writing has been published by beyondblue and appeared widely in print and online, including in Overland, The Guardian, SBS and The Telling Tree project. Jay will be reading from Ironbark at First Chapters on Friday 5 October. The section I’ll be reading from my debut novel, Ironbark, appears later on in the text when there’s a change from third-person to first-person point of view: this is the novel’s protagonist, Markus, addressing his best friend, Grayson. You can expect to hear a few things packed into a short space – e.g. climate change, sexuality, and homophobia. These themes do share a common similarity between them, and that is that (mostly) we address each of them with silence. I’ve only the one book (so far) to describe – Ironbark. It’s a small, circuitous book that’s less about plot and more about how a young man growing up gay in a rural town might internalise the world he moves through. In this case, he is coming to terms with not only the death of his best friend, but also his own sexuality. I’m currently writing my second book, too. It will focus on the relationship between two gay men in order to examine the unique strain and pressures of trying to live authentically in the politically and socially repressive time period of 1930–1950 Australia. The similarities between Ironbark and my second work of fiction are, I think, that I am trying to describe the unique experiences gay men, in particular, have potentially had at different times throughout history. Paul Jennings’ Un- series, as well as his collaboration with Morris Gleitzman on Wicked, were the first books I remember as getting me interested in reading. The first book that left an impression on me would have to Ethan Frome by Edith Wharton, which I had to read in year 12. I’m only 24, so I don’t really know what ‘life’ means. But I guess if a book can record bits and pieces of ‘life’ – e.g. the day-to-day pieces – maybe then a reader can find something in that text, something that says something about ‘life’: how different people live it, experience it, represent it, etc. What that reader does with the information is not up to me. I usually eat something and watch a reality TV series, which sounds like a waste of time but, for me at least, I spend this ‘down’ time vaguely shifting the writing problem around in my head. I trust that my subconscious will know what it’s doing when I return to writing – I just have to listen out for the clues. I like lots of words and phrases. The only one that I can think of right now is ‘sky-blue space’, which I remember reading in The Art of Fielding by Chad Harbach. For me, ‘sky-blue space’ has a mystical potential because, scientifically, it does not precisely exist, yet, when we look up, there it is. Editor – that’s the job that pays my bills J I’d like to put ‘writer’, one day, but for now it’s not something I am able to do as often as I’d like. While I understand why people might want me to talk about how ‘real’ what I write about in Ironbark is – e.g. 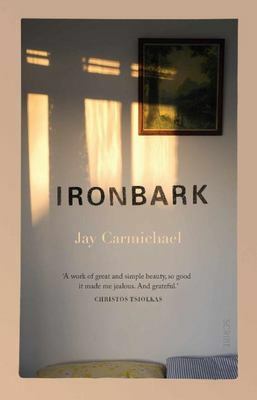 ‘Did you experience that too?’ or ‘Is that what it was like growing up gay in the bush?’ – I find it hard to relate my experiences to those of Ironbark’s protagonist, Markus. I mean, Ironbark is fiction. Simple as that. I did really like The Art of Fielding by Chad Harbach, but I don’t know how ‘well known’ it is. Some others: At Swim, Two Boys by Jamie O’Neill; Ethan Frome by Edith Wharton (I wouldn’t say that because it’s a movie the book is any better read); and The Argonauts by Maggie Nelson could be more widely read. 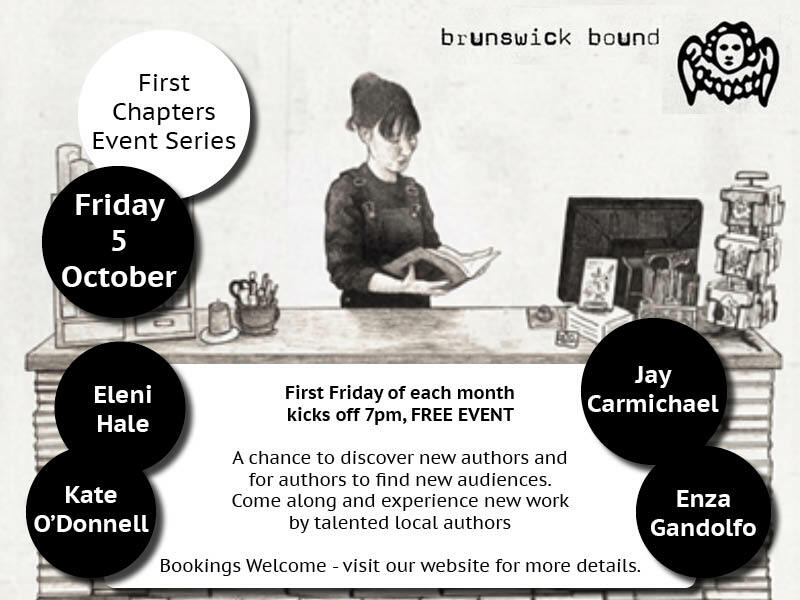 You can find out more about First Chapters on the Brunswick Bound website. Bookings via Eventbrite.